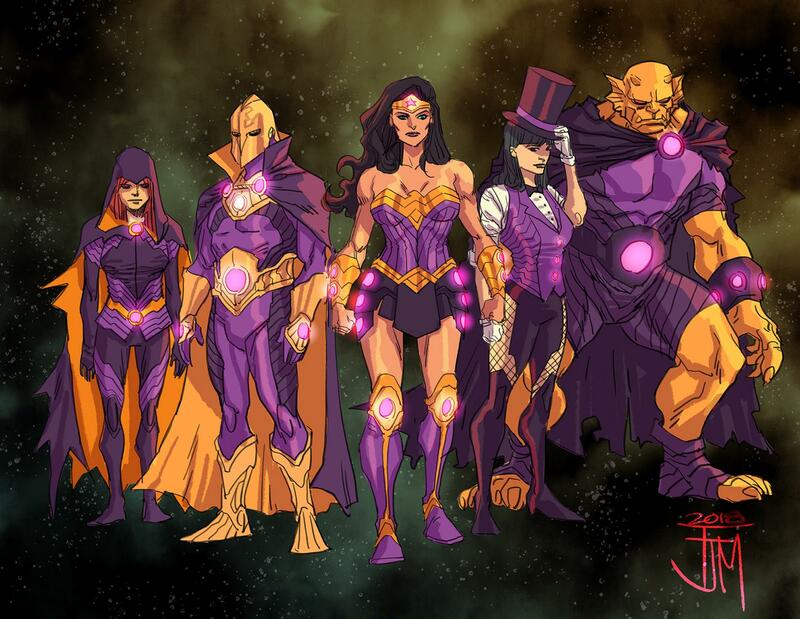 Justice League: No Justice will be written by Scott Snyder, Josh Williamson, and James Tynion IV with art from Frances Manapul, and will run weekly in May. In No Justice, Brainiac arrives on Earth with a warning for DC’s heroes about an impending threat that can only be stopped if the Justice League joins forces with some of DC’s worst villains. 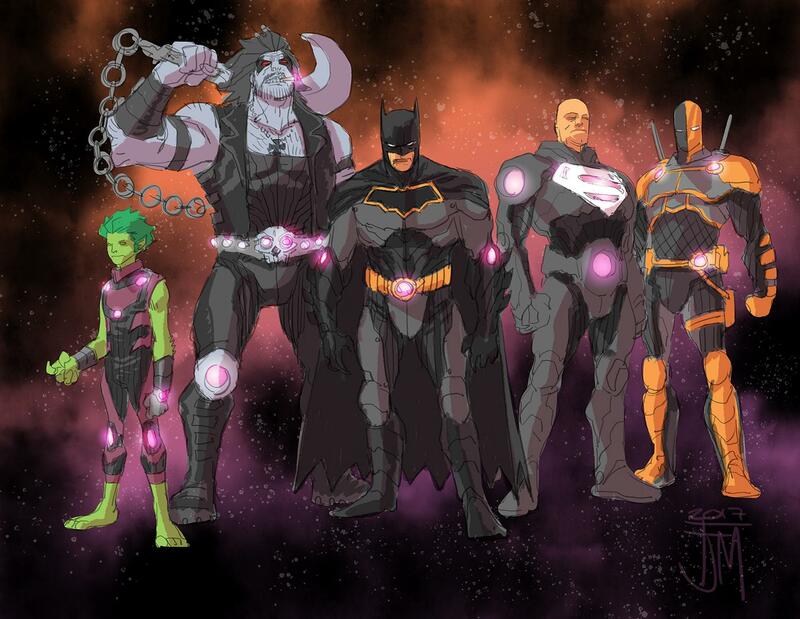 I’m calling this team JLAliens (which is completely a call back to the Justice Leagues mini event from 2001) and while it’s nice to see Martian Manhunter back with the League . 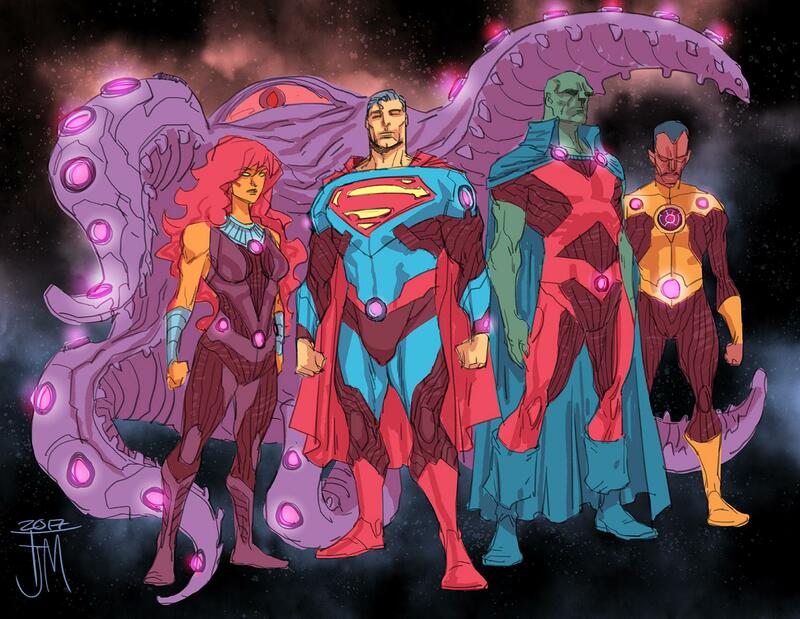 . . Starro? Really?! JLMagic (or maybe JLDark again?) with what looks to be Raven on the left, though I may be mistaken. 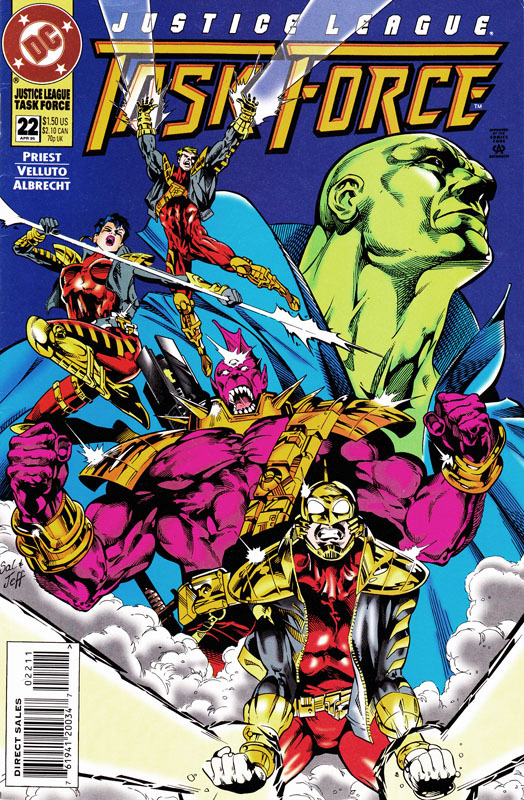 JLMoney (because they’re all wealthy – wasn’t Changeling/Beast Boy the adopted son of Steve Dayton at some point?). As I don’t keep up with the Superman titles, I hadn’t realised Luthor was still wearing the S-shield. JLScience? JLNerds? And I guess they had to shoehorn Harley Quinn in there somewhere. First impression – 5 women out of team of 20? That’s not a brilliant score, is it? Why not Batgirl instead of Robin? Scandal Savage instead of Deathstroke? Soranik Natu instead of Sinestro? Literally any female character instead of Starro? 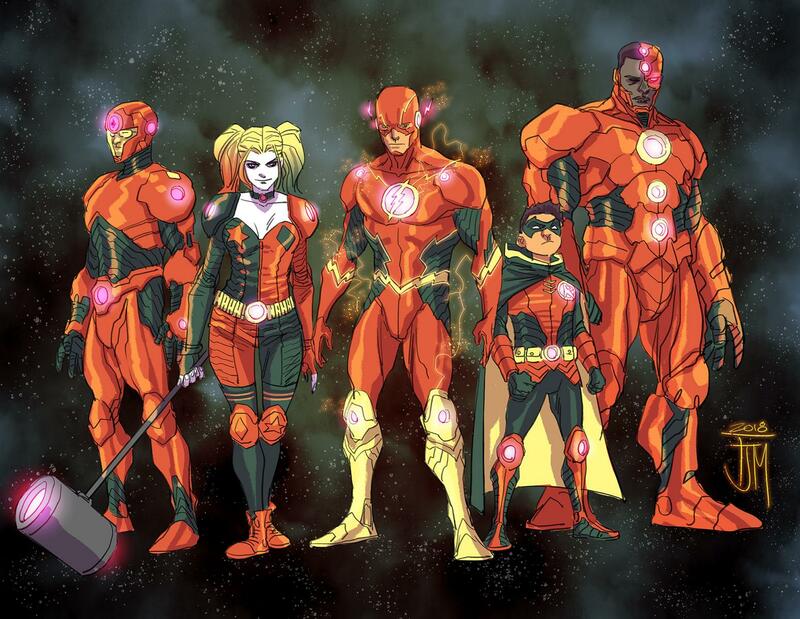 Second impression – no Green Lantern or Aquaman? Are they not in the League any longer? Reservations aside, I will, of course, be buying these, as I’m a sucker for the Justice League. Which is why I own a complete run of Justice League Task Force.